MUNICH -- BMW AG says it will redesign its gasoline and diesel engines so they can share far more parts. The three-, four- and six-cylinder engines will have the same single-cylinder displacement of approximately 500 cubic centimeters and a common engine block design. Fuel intake and exhaust systems will share components based on the fuel type, gasoline or diesel. Mounting points for the powertrains will also be standardized for both transverse and longitudinal installations. "Our goal is to have 60 percent of components shared between engines based on fuel type, and 40 percent commonality between gasoline and diesel engines," said Harald Unger, head of development of BMW inline engines, at a press event here last month. Currently, some of BMW's engines are derived from other engines but few parts are shared. The new Twin-Turbo Power engines will debut in three to four years. BMW's engine program could mean a consolidation of suppliers. For example, Unger said two companies, Schaeffler Group and Hydraulik-Ring, supply variable valve timing mechanisms for gasoline four- and six-cylinder engines. In the future there may be just one. The volume of identical variable valve timing mechanisms, which BMW calls Vanos units, would triple. "We have set the engineering design for components, but it is up to purchasing to determine which and how many suppliers will be awarded the business," Unger says. 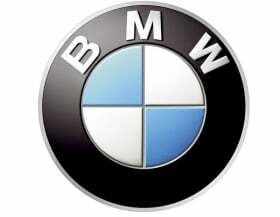 BMW also uses multiple suppliers for turbochargers and other components such as solenoid fuel injectors. Ranks of these suppliers could also be reduced. In 2010, BMW produced more than 1.4 million four- and six-cylinder engines. BMW launched a precursor four-cylinder Twin-Power Turbo engine in the 2012 BMW X1 xDrive28i SUV. The 2.0-liter gasoline engine uses BMW's variable valve timing, direct fuel injection and a turbocharger. The smaller four-cylinder is designed to replace a naturally aspirated 3.0-liter inline six-cylinder engine, and it's more powerful and efficient. Meanwhile, Twin-Power Turbo diesel engines of three, four and six cylinders will share fuel injectors, turbochargers, pistons, connecting rods, chain camshaft drives and noise-suppression covers. Additionally, Twin-Power Turbo engines will be used in hybrid powertrains. These applications explain the need for a 1.5-liter three-cylinder engine. The Twin-Power Turbo program will not influence V-8, V-10, and V-12 engine programs.